Highrock churches and our neighbors across greater Boston are partnering with our brothers and sisters in the Democratic Republic of the Congo (DRC) to raise awareness of the realities of life in the Congo, to celebrate progress and raise funds for access to more clean water. 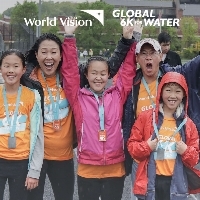 Walk or run with us at the World Vision Global 6K for Water on May 4, 2019. Each registration provides lasting clean water to a child, like the child on your race bib!